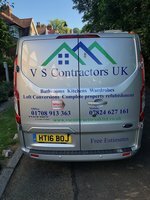 V S Contractors UK LTD is a well established building and maintenance company that has built an excellent reputation over the past 10 years. 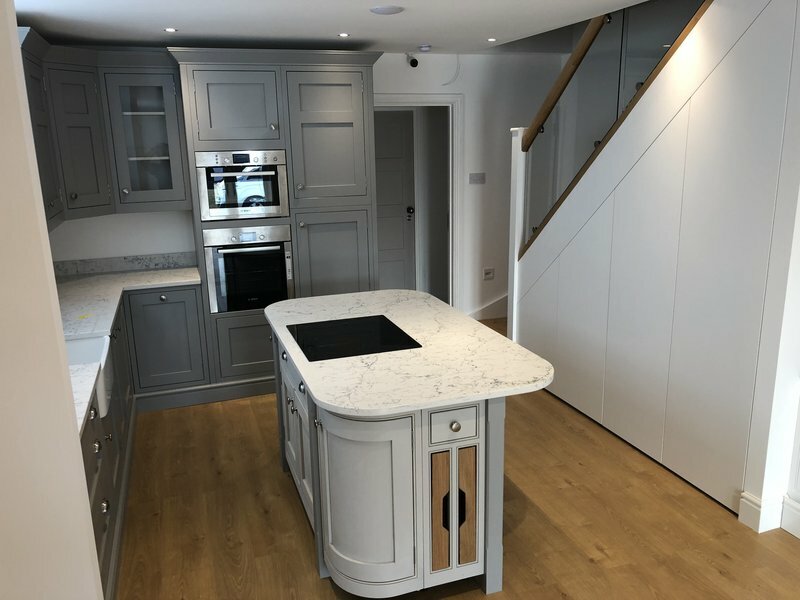 We take on all types of work from small domestic work to larger commercial industrial projects, all carried out to the highest standards, within the agreed time frame and at very competitive prices. Estimates are always free and come with no obligation. We have a friend with Alzheimer's Dementia & we needed to update her outdated bathroom to ensure her current needs are met in order that she can stay in her home for the rest of her life. We worked with Vlad & his team from the initial planning to project completion & they completely understood the needs of the project. There was a very tight timescale for the work to be completed & this was met due to the hard work & commitment of Vlad & his team. We were very impressed with the way the property was cared for, all areas were protected. The result was everything & more that we hoped for - we would have no hesitation in recommending Vlad & will certainly use his services ourselves. I can't recommend Vlad and his team highly enough. They stepped in last-minute to refurbish our bathroom just before Christmas after we fired our initial contractors three days in to the job (due to theft + poor work). The contrast between the two teams was like night and day. 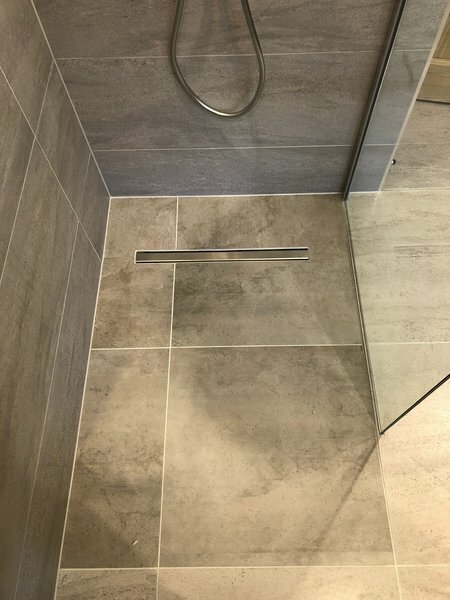 Punctual, tidy, honest, friendly, professional...they made good all the previous work and even worked late/weekends to finish the shower in time for Christmas. Vlad was always available and prompt to reply. Everything was itemised on the quote and any potential extra costs were always flagged up early before they were incurred. I also really appreciated how Vlad would tell us whether something would work or not, and how it could be improved, rather than just billing us for something we might regret in the long run. We're so happy with the bathroom and won't hesitate to contact Vlad for any future projects. Vlad and his team came to fit bespoke plywood shelving in various places in our flat. He arrived on time when coming to measure up and give us a quote, and provided some ideas on how we could best execute what we were after. The quote was clear and itemised. The shelving looks fantastic and has been expertly finished. 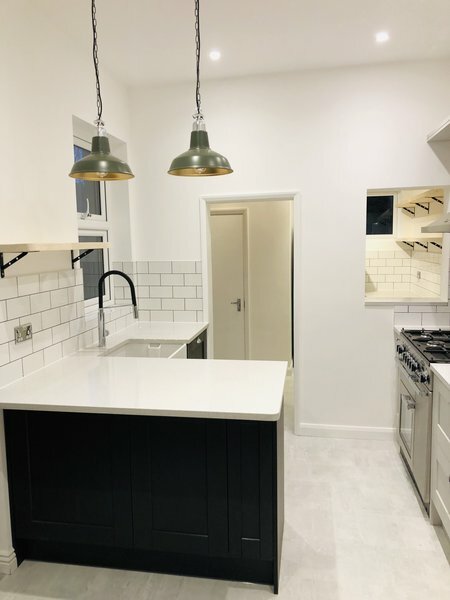 This is the second time we've used VS Contractors - they also did a full back-to-the-brickwork refurb for us a year or two ago, with similarly great results, but we missed the timescale to leave a review. Would definitely recommend this company! 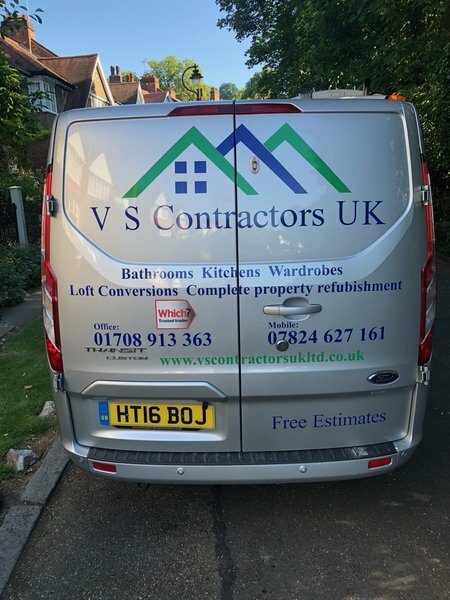 We've heard of V S Contractors UK Ltd from a friend and we decided to contact Vlad to do a complete bathroom refurbishment and we do not regret. Vlad and his team of professionals are the best that you can find in Essex. The are professionals from start to end and they look after your house as their own. The floor and carpets were all protected so no bad surprises after the work was done. No question was left unanswered, no half jobs, no issues were left behind. Our bathroom was dark, aged and sad. With his help, professionalism and advice now we have a light, fashion, brand new modern 5 stars bathroom. We already started to plan to change the doors, do our bedroom and the kitchen in the future. If you require an honest, professional and excellent customer service contractor, V S Contractors are the people to use. Thank you very much. Kitchen refit done to a superb standard. 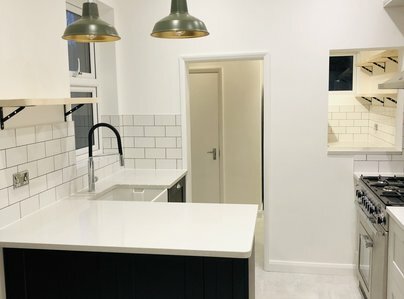 We had a variety of quotes from different builders to fit a new kitchen in our two bedroom flat. 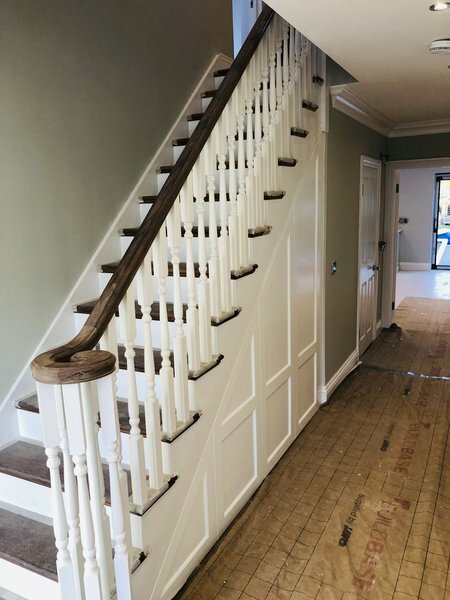 The quote from VS Construction was one of the higher priced responses we had, however the main criteria from our point of view was quality of workmanship and timeliness in completing the job. From the very start, Vlad impressed us with his prompt responses to our questions and assurances around timeliness. We felt very confident in awarding Vlad and his company the work - and he had no hesitation in signing a simple straight forward contact we drew up to ensure both parties acknowledged the work to be done was in accordance with the quote and when the staged payments would be made. The work started on the scheduled day, (whilst we were taking a short holiday) and we were delighted to receive photos at the end of day 1 to show the removal of the old kitchen well underway. We were impressed to see the care taken over masking up the adjacent areas to ensure they were projected properly from the work in progress. We received regular daily updates with photos and Vlad responded immediately to our few questions. We were delighted as the work progressed entirely in line with the agreed schedule and we were very happy to make the second stage payment. The job was completed bang on schedule and we are absolutely delighted with the results. Vlad has subsequently done some other smaller maintenance jobs for us and we have absolutely no hesitation in recommending him. Vlad and his team ripped out our old bathroom and plumbing and installed a new one. They also made good a bad plastering job that had been done by another tradesman in a bedroom, installed skirting and picture rail and decorated it for us. Vlad was very transparent about any extra costs that were encountered during the bathroom renovation. His team are always on time and work really hard every day. They are considerate and clean up after themselves meaning that having them in the house is considerably less stressful than other tradesman. Greg did an amazing job with the tiling and Ross was really meticulous with the decorating. After a really bad experience with another trader they have restored our faith in builders! We will definitely be using them again for any work we need done. We have used V S Contractors twice now and both times we were really happy with the work. The work was done quickly and to a really high standard. Wouldn't hesitate to use again. Vlad and his team refitted our kitchen and utility room which hadn’t been touched for many years. 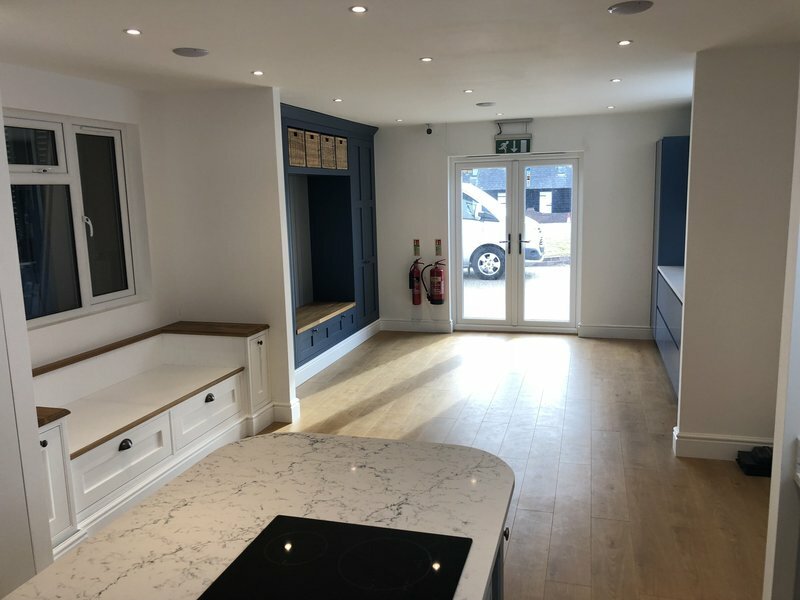 The work involved plastering walls and ceilings, completely replacing the floor and wall tiles, painting and decorating, providing a new ring main, alterations to the plumbing and the construction of a new stud partition as well as the assembling and fitting of the new kitchen units, worktops and appliances. We were very pleased with the quality of workmanship. The varying tasks were well coordinated with the different tradesmen seamlessly carrying out their allotted work. As the project progressed Vlad made helpful suggestions to improve and slightly modify our plans. Vlad’s wealth of experience of installing kitchens meant that the final result was much the better for his advice.